Harry Potter and the Goblet of Fire really propels the drama of the series onto another level. If you were ever a fan of the TV show LOST, you knew that part of the appeal was that even main characters were at risk. It's not that you enjoy seeing your favorite characters eliminated from the storyline, but rather that the story line itself isn't sacrificed to save a character. Don't get me wrong [spoiler alert], I totally cried the first time I read about Cedric's death. I still get a bit misty-eyed when I read about his ghost asking Harry to take his body back to his parents. I didn't like that Voldemort kills Cedric--of course not, I'm no Death Eater--but when I read that scene, I knew that J.K. Rowling would stay true to the good-vs.-evil-battle raging within the wizard world of Harry Potter. I knew that Harry wouldn't somehow defeat Voldemort with a bit of luck or trickery. I knew that it would be a real fight with real sacrifice and real consequence. For me, book four marks the series' transition from children's literature to young adult or adult literature and I loved that. 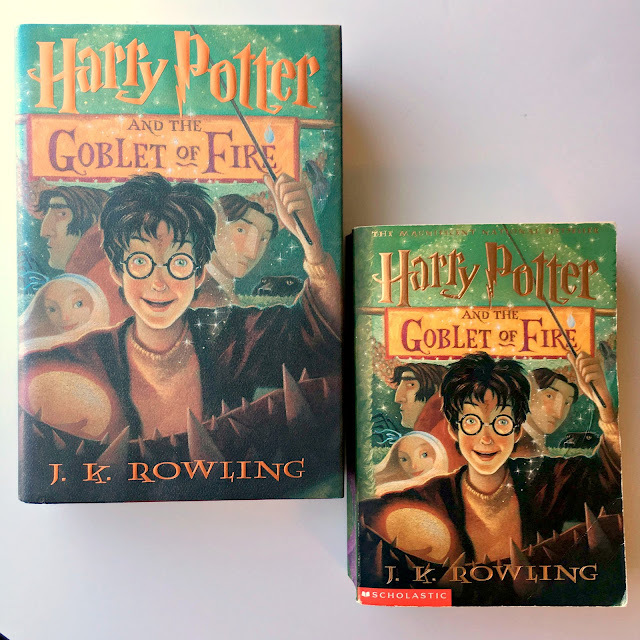 Harry's growth over the course of the series is just one testament to Rowling's skill as an author. So many series' main characters change very little; in essence, they have the bravery within them from day one they'll need on the final page. Harry, however, does not. The Harry Potter who lives under the stairs may be destined to face-off with Lord Voldemort, but he's not destined to win--he has to grow into that person. Even though he fights him at the end of book one, you'd be hard-pressed to find anyone who'd disagree that the encounter in Harry Potter and the Sorcerer's Stone is somehow equal to that in Harry Potter and the Deathly Hallows. The stakes rise as both the good and the bad increase. Ah, such a great story! Sirius Black: "If you want to know what a man's like, take a good look at how he treats his inferiors, not his equals." This line is so fascinating because it's not only profound truth, but it's uttered by Sirius when he's condemning Bartemius Crouch for his abuse of his house elf, Winky. Sirius, however, is equally guilty of mistreating his own house elf, Kreacher. I think this is significant because it shows that we are often guilty of pointing out the guilty in others without recognizing it within ourselves. Albus Dumbledore: "Remember Cedric. Remember, if the time should come when you have to make a choice between what is right and what is easy, remember what happened to a boy who was good, and kind, and brave, because he strayed across the path of Lord Voldemort. Remember Cedric Diggory." Dumbledore's rally cry reminds every Hogwarts student that Cedric was innocent and murdered nonetheless. As the fight between Voldemort and the wizard community grows, they can't be passive and not take a side. Ignoring evil can lead to condoning evil. We often think about this in the context of World War II and it certainly seems as true as ever today in the fight against global terrorism. Albus Dumbledore: "[I]t matters not what someone is born, but what they grow to be!" Preach, Dumbledore, preach. Without question, my favorite element of Harry Potter and the Goblet of Fire is Mrs. Weasley's love and concern for Harry. Ever since she first spotted him alone on the train platform in book one, she has had motherly concern for him. Her care grows into love and she even defends herself when she states that he's as good as one of her own sons. I love that. At the conclusion of this novel, after everything Harry's witnessed, after everything he's experienced, he lies in the hospital ward completely heartbroken. It is at this moment that Mrs. Weasley's maternal hug that comforts him: "He had no memory of ever being hugged like this, as though by a mother." Cue rain on my face. This line gets me every single time. What's your favorite part of Harry Potter and the Goblet of Fire? 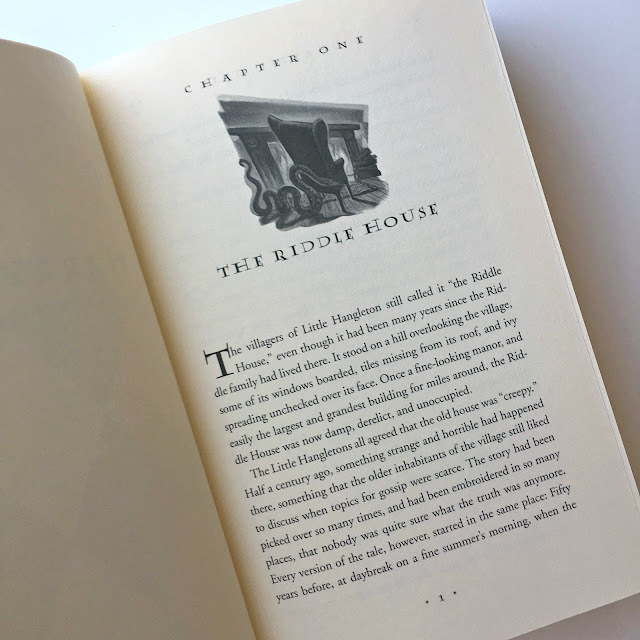 At what moment in the series did you feel the shift from children's literature to young adult literature? Isn't the opening chapter super creepy? The tent! I want the Weasley's expandable tent from the Quidditch World Cup. Where can I get one? Cedric forever or Krum for the win?